édité le 03/09/2014 - Plus de news de "BAKER HUGHES" - Voir la fiche entreprise de "BAKER HUGHES"
Baker Hughes Incorporated and Weatherford International plc announced that they have closed the previously announced purchase and sale of Weatherford's pipeline and specialty services business. "This acquisition adds sophisticated subsea pipeline commissioning services and new ultrasonic in-line inspection technologies to the Baker Hughes portfolio," said Martin Craighead, Chairman and Chief Executive Officer of Baker Hughes. "Expanding our services will allow us to more effectively address our customers' process and pipeline challenges." 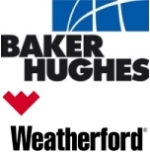 Commenting on the closing of this transaction, Bernard J. Duroc-Danner, Chairman, President and Chief Executive Officer of Weatherford, stated, "We are pleased with the closing of this transaction with Baker Hughes. This combination enhances the focus and service delivery to our pipeline and specialty services customers worldwide and allows for growth opportunities for the employees. This transaction also demonstrates the execution capabilities of the Weatherford team and is another important step in our restructuring efforts this year. All proceeds will be used to pay down outstanding debt." Weatherford (NYSE: WFT) is one of the largest multinational oilfield service companies. Weatherford's product and service portfolio spans the lifecycle of the well, and includes formation evaluation, well construction, completion and production. The company provides innovative solutions, technology and services to the oil and gas industry, and operates in over 100 countries, currently employing more than 50,000 people worldwide. (NYSE: BHI) is a leading supplier of oilfield services, products, technology and systems to the worldwide oil and natural gas industry. The company's 59,000-plus employees today work in more than 80 countries helping customers find, evaluate, drill, produce, transport and process hydrocarbon resources.